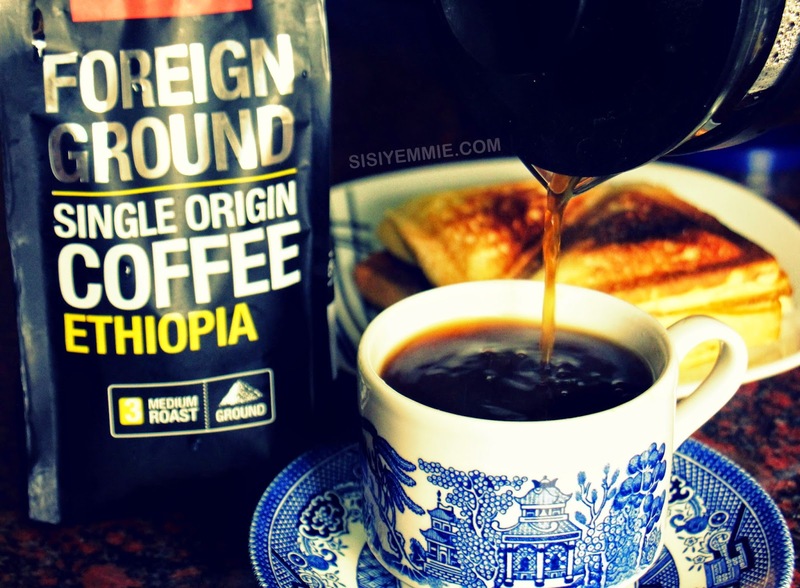 HELLO COFFEE LOVERS: FOREIGN GROUND SINGLE ORIGIN COFFEE REVIEW! A few weeks ago I received a package from Shoprite! It was the new range of coffee they had in store, and being a coffee lover I did not hesitate to try them. What coffee is this one abi? Its a coffee collection actually: the Foreign Ground Single Origin Coffee. 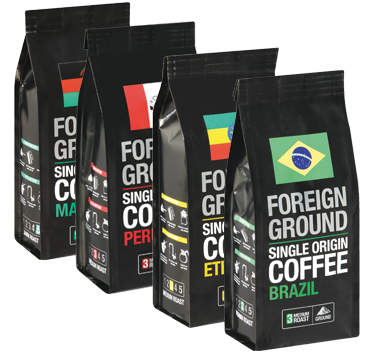 The Foreign Ground Single Origin Coffee is sourced by top coffee experts from ten of the world’s top coffee-producing countries: Brazil, Colombia, Costa Rica, El Salvador, Ethiopia, Guatemala, Honduras, Malawi, Peru and Rwanda, The ones I received were from Brazil, Rwanda, Ethiopia and Colombia. This exclusive Foreign Ground range brings you the finest international Single Origin flavours . What's single origin coffee? "Single Origin" means that each batch is carefully selected from only one plantation to ensure the purest regional flavour, and then artisanally roasted to create a truly luxurious coffee. I was excited to see that it was available in beans and ground: how convenient! I think this is my first time seeing coffee beans and believe me I enjoyed grinding it. Along with the coffee hamper I also received a coffee blender and a coffee press: a stainless steel plunger and strainer assembly. Pricing is not bad at all, you can get 1 for N1499.99 at Shoprite, and I think for coffee of such great quality an quantity, its a pretty good bargain! So far, I'd recommend the Ethiopian one! I love it because of the distinct flavour...oooh la la! Do you know that it's generally believed that coffee first came from that region?Anyways, I made mine freshly ground because even the best pre-ground coffee can't beat a good quality freshly ground when it comes to taste. I did try the Colombian range and noticed it had slight floral aroma and a bit fruity. Is that my second favourite? Maybe! Because this coffee is sooo good, there'll be a giveaway next week! Yes, one of you coffee lovers will win a whole basket of different flavours. So if you love coffee stay tuned!!! By the way do you like instant or ground coffee? but you can buy coffee and that's really close! My love for coffee is "almost addictive", because I love it strictly for the smell...Once I smell coffee that's it, you have me there! As much as I love coffee I really think that cake is closer to happiness than coffee! ^_^. Can't wait to try my luck in your giveaway!